Places to see in Agarhati: A true water world, just two-hour drive from Kolkata. 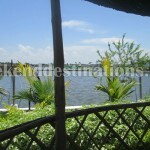 The resort itself sits on large fishing lakes (bheris) surrounded by water on all sides. The endless stretch of water meets the skies in the distance. 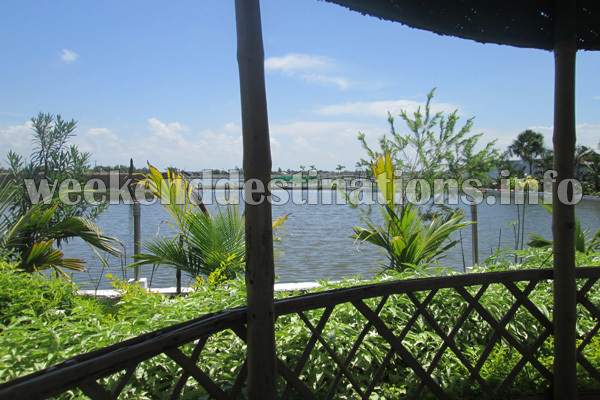 There is a small lush green island within the resort connected by a bamboo bridge (sankho) where you can sit and enjoy the view of water on all sides. Nearby attractions of Agarhati: Just 16 kms from Agarhati is Malancha – one of the largest fish markets in West Bengal. You can also pay a visit to the newly-built bridge over Vidyadhari River at Malancha and see the setting sun over the confluence of Ichamati River and Vidyadhari River. You would also find the brick kiln chimneys standing tall along the riverbank as far as you can see and the ferries crossing the river every now and then. Things to do in Agarhati: The best thing to do in Agarhati is to do nothing – just sit back in the gazebo and watch the clouds float across the blue skies. Few other things you can do here are fishing, boating and spending some quality time with your family in the park. 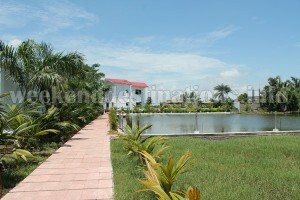 You can also take a nap in the island’s lush green grass accompanied by the lullaby of the lapping lake water. At Agarhati, you can kill the stress of your work-life and come close to your family and friends. Best time to visit Agarhati: You can visit Agarhati anytime of the year. The winters are best for basking in the sun while the monsoons are best for the lush greenery and dark clouds rolling over the horizon. How to reach Agarhati: If you are going by car, then you have to take Basanti Highway from Science City and cross Malancha to reach Agarhati. All Buses connecting Dhamakhali from Kolkata will take you to Agarhati. Lodging and Food at Agarhati: Presently, there are four air-conditioned rooms at resort. All rooms are equipped with large comfy beds, wardrobes, attached western bathrooms, mini-fridge, hot water geysers, LED televisions with cable connection, 24-hours electricity and other facilities that make your lives comfortable. There is also a dining hall where some sumptuous food is served. 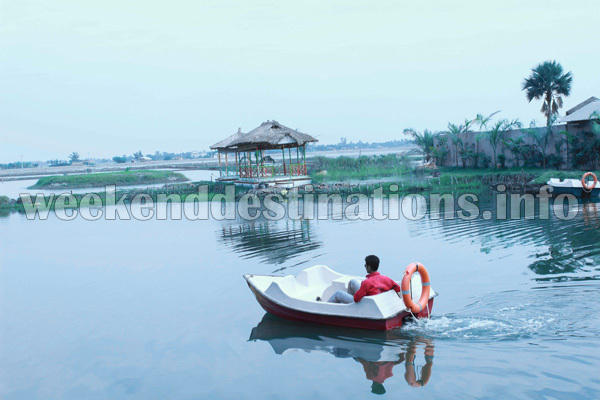 The resort is facilitated with manicured lawns, a children’s’ park, few thatched gazebos for your evening gossip, three large fishing lakes and an island within the water world.